Here’s a 100% natural health supplement that is exactly what you need to get rid of that extra weight and maintain your ideal shape. Green Coffee Bean Extract is designed to burn sugar and fat, while slowing down the release of sugar into the bloodstream. Insuline Spikes is what ultimately causes undesired weight gains and fat production, and Green Coffee Bean helps you fight those spikes! Green Coffee also boasts high levels of chlorogenic acid a polyphenol antioxidan which scientists speculate may promote weight loss by reducing the absorption of fat and glucose in the gut, and lowering insulin levels to boost metabolism. If you're ready to finally melt away fat and lose weight, then you're ready for the Pure Green Coffee Bean Extract "Triple threat." Start losing weight fast. 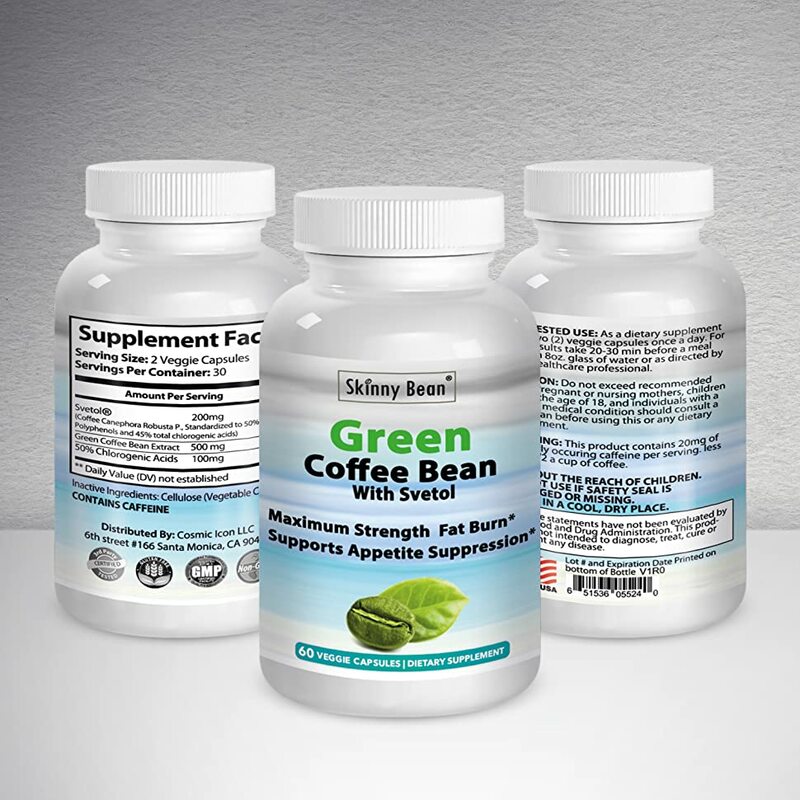 Order Skinny Beans Green Bean Coffee Extract Now!